Black Friday began in the United States, where bricks and mortar stores offering big discounts are open for extended shopping hours, the day after Thanks Giving (the fourth Thursday in November) and marks the official start of the profitable Christmas shopping period for retailers. As more consumers began shopping on the internet, Black Friday and it’s e-commerce equivalent, Cyber Monday, have spread to many other countries, including Australia and New Zealand. 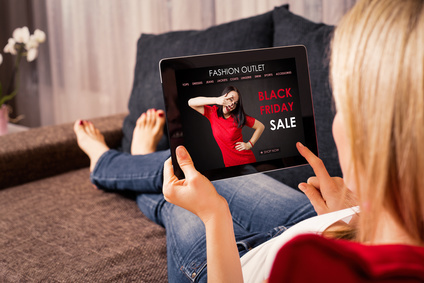 This year, most online retailers in Australia are kicking off the busy and profitable Christmas shopping period, with a four day sales event, beginning on Black Friday and ending on Cyber Monday. So, if you are looking for a bargain, or just want to make a dent in your Christmas shopping, it’s worth jumping online sometime during the biggest shopping event of the year – from 24 November (Black Friday) until 11:59 pm AEDT on 27 November 2017 (Cyber Monday) – odds are, your favourite online stores in Australia will be offering big discounts on all their merchandise. Please note that some online retailers are getting a jump on the competition, by kicking off their sales event today, Thursday 23 November 2017. So pop on over to your favourite online store, if you want to beat the Black Friday rush! Here, are the fashion, home and garden discounts that we know about, including promo codes where applicable. The magical world of Swarovski crystal is constantly evolving, with new products launched regularly throughout the year. Black Friday Up to 50% OFF Starts: 23 November. Ends: 27 November. Aussie Farmers Direct is a unique home delivery service that offers hundreds of mouth-watering Aussie products delivered direct to your door. They’re serious about supporting Australian farmers, so you can rest easy knowing that all the fresh food they sell is either grown or made right here in Australia, with fair prices paid at the farm-gate. 40% off your first order (minimum spend $50). New customers only. Use code: BLACKFRIDAY40 Starts: 24 Nov 2017. Ends: 27 Nov 2017. Pottery Barn offers comfortable and stylish home furnishings that are exclusively designed and expertly crafted. It is the premier destination for decorating, entertaining and gifting, offering free specialist services to help with everything from planning your home’s interior to selecting the perfect present. Black Friday! 20% Off All Ornaments, 30% Xmas Dinnerware + Linens, 40% Off All Bedding at Pottery Barn Australia. See website for full T&C’s. Starts: 21 Nov 2017. Ends: 26 Nov 2017. Cyber Monday – Up To 25% Off Everything at Pottery Barn Australia. See website for full T&C’s. Starts: 25 Nov 2017. Ends: 27 Nov 2017. Pottery Barn Kids helps customers create stylish, innovative, kid-friendly spaces in the home. It is a premier destination for decorating and gifting, offering free specialist services to help with everything from designing a nursery, kid’s bedroom or playroom, to selecting the perfect gift. Pottery Barn Kids offers a premium range of exclusively designed furniture, decor and gifts for babies and kids with a focus on safety, quality and comfort. Black Friday – 25% Off Any Item at Pottery Barn Kids Australia! Use code: BLACKFRIDAY25 See website for full T&C’s. Starts: 24 Nov 2017. Ends: 25 Nov 2017. The Home is your go-to destination for inspiring home and living products that cater to your lifestyle. We’re passionate about sourcing designer finds from big brands and boutique labels; giving our members easy access to these discoveries without the designer price tag. Membership is FREE and when a stylish collection is sourced by The Home team, we secure top discounts and offer the products on the website for approximately seven days. When the sale is complete, we place an order with the featured brand, receive the stock at our warehouse, and pack it into individual orders that make their way to you. Alongside a range of exclusive offers, we will be offering one-off flat-rate shipping site-wide from Friday 12th November to Monday 27th November 2017. Black Friday Sale at The Home in Australia – 24th November 2017 to 27 November 2017. Save 45% on a range of full-priced sheet and sheets sets from COTTON HOUSE, PRIVATE COLLECTION, HARLEQUIN, DAVID JONES & SANDERSON. Offer ends online on 27/11/2017. Save 40% on full-priced towels, including beach towels. Excludes Country Road Home. Offer ends online on 27/11/2017. Continue to Save up to 50% on a great range of refrigerators from SAMSUNG. Save 20% on the RRP+ of small appliances from BREVILLE, SUNBEAM, PHILIPS, KITCHENAID, DELONGHI & NESPRESSO. Offer ends online on 27/11/2017. Save up to 40% on a great range of dinnerware, cutlery, glassware and table linen. Save 30% to 40% on a great range of full-priced cookware & kitchenware. Offer ends online on 27/11/2017. +RRP refers to the supplier’s recommended retail price. When you shop at Farfetch you’re shopping pieces from luxury brands and boutiques around the globe, expertly curated for you by the Farfetch team. Our brand and boutique partners are located everywhere from Tokyo to Toronto, from Milan to Miami – we only work with the very best in the business. We express ship from our partners to over 190 countries worldwide so you’ll receive your order before you know it. Save Up to 50% at Farfetch + Extra 10% Off with code: X1017. Starts: 24 November 2017. Ends: 28 November 2017. SSENSE is a pioneering international fashion platform known for its exclusive original content and a curated selection of over 400 fashion and luxury brands for men and women. SSENSE boasts a selection of carefully curated runway and high-street fashions from designers such as Saint Laurent, Gucci, Prada, Acne Studios, Marc Jacobs, Givenchy, Lanvin, Alexander Wang, Off-White, Yeezy and more. SSENSE guarantees the authenticity of every product we stock. SALE: Up to 50% Off Designer Fashion at SSENSE. Starts: 22 November 2017. Ends: 9 January 2018. Curated with a chic, modern woman in mind, Shopbop offers a comprehensive collection of designer apparel and accessories to suit every style and occasion. Up to 75% off Sale Items + Up to 30% off Full Price Items PROMOCODE: MORE17 Starts: 21 November 2017. Ends: 27 November 2017. Marsk & Spencer sell high quality, great value clothing and home products as well as outstanding quality food. 20% Off Partywear – PROMOCODE: XMASPARTY Starts: 29 November 2017. Ends: 2 December 2017. Terms and Conditions: 20% off women’s partywear from 00:00 29th November AEDT to 23:59 2nd December AEDT with code XMASPARTY. Applies online at marksandspencer.com/au and marksandspencer.com/nz. with code at checkout and in store with a valid voucher. While stocks last. Cannot be used in conjunction with any other promotion, offer or discount code. Discount does not apply to delivery charges. Please check the relevant delivery terms and conditions online. Any refunds will take into account this discount. In Australia, New Zealand and the United Kingdom we have a growing network of 60 company-owned Bendon Lingerie Retail stores and Bendon Outlet stores, for women and men to indulge in intimate apparel and exceptional customer service. 40% Off Sitewide Black Friday Event use code: BLACK40 at checkout. Starts: 23 November 2017. Ends: 26 November 2017. Beme is a plus sized brand that specifically tailors the latest fashions to flatter the silhouette of curvy women, with styles available in sizes 14 and up. Beme Black Friday Event. 50% OFF All Full Price Items + Buy any 2 SALE items for $25. Starts: 23 November. Ends: 27 November. 40% Off applies to the Recommended Retail Price (RRP) and is not in addition to existing reductions. Excludes gift cards. At Rockmans they are all about value, style and quality. With 300 stores nationwide and over 70 years’ experience, Rockmans pride themselves on giving their customers easy access to affordable fashion and accessories. 50% Off All Full Price Items. Starts: 23 November. Ends: 27 November. At W.Lane their clothes are made for loving life. W. Lane believe outfits are best lived in, true style is enduring and quality is in the detail. Shop 50% Off Full Price Items at W.Lane Starts: 23 November. Ends: 27 November. Noni B is one of Australia’s best known and much loved ladies fashion retailers. The brand has been trading since the 60’s and 70’s created by owner at that time, Noni Broadbent who famously gave the best customer service in town! Shop 50% Off All Full Price Items at Noni B. Starts: 23 November. Ends: 27 November. Catered to the stylish urbanites, CHARLES & KEITH transforms the latest trends into accessible fashion. The lifestyle brand’s product offerings include bags, accessories and costume jewellery that inspire with experimental designs. New arrivals weekly. CharlesKeith.com | Cyber Weekend Sale: Up to 50% off sitewide. Countries: Australia, New Zealand, United States, Canada, Hong Kong. Starts: 23 November. Ends: 28 November. David Jones is not only Australia’s oldest department store, but also the oldest department store in the world still trading under its original name. Shop online for your favourite brands across Women’s, Beauty, Men’s, Children’s, Home, and more. Brand Spectacular: Enjoy over 80 offers from your favourite brands. Starts: 24 November. Ends: 26 November. sass & bide is one of Australia’s most respected and loved fashion labels, recognised globally for modern, distinct designs. BLACK FRIDAY: 15% Off Full Price Items. In-Store and Online. CODE: Black15 Starts: 24 November. Ends: 28 November. SABA has had a powerful influence on the Australian fashion scene since 1965. SABA’s collection features a range of key modern pieces for men and women. This includes denim, tailoring, shirting, dresses, accessories and more. VIP Exclusive for Cyber Weekend – 25% Off All Full Price Starts: 24 November. Ends: 27 November. Sportscraft, founded in 1914, is one of Australia’s most trusted fashion and lifestyle brands renowned for outstanding quality and consistent fit. VIP Exclusive for Cyber Weekend – 25% Off All Full Price Starts: 24 November. Ends: 27 November. From the streets to the beach and everything in-between! Whether it’s a road trip, a festival or just kickin’ it with your crew – you’re sure to find the freshest threads at Factorie. Shop the latest trends for guys and girls. 30% to 50% off everything sitewide Starts: 23 November. Ends: 26 November. Glue Store is Australia’s No.1 youth lifestyle retailer offering premium fashion from international and local brands including adidas, Stussy, C/meo Collective, Bec & Bridge, G-Star and Daniel Wellington. Black Friday Savings: 25% Off Store Wide. Exclusions may apply. Starts: 24 November. Ends: 25 November. Berlei have spent almost 100 years perfecting their craft and researching what real women need and want. Berlei are an Australian brand run by women, for women. Berlei believe every woman deserves to feel her best, every day and they are committed to supporting her. Cyber Weekend Savings: Enjoy 30% Off Site Wide Starts: 24 November. Ends: 27 November. David Lawrence is an iconic Australian label offering classic staples with an emphasis on effortless pieces of unmatched quality and defined style. With a reputation for modern style at excellent prices David Lawrence’s range lasts season to season. Get 30% Off Full Price for Cyber Weekend at David Lawrence! Valid Nov 24-27 Starts: 24 November. Ends: 27 November. The clean, modern and uncomplicated style that the MARCS business was founded on back in 1979 continues to be the essence of the brand. MARCS remains fashion forward and trend aware, yet always accessible and relevant. Get 30% Off Full Price for Cyber Weekend at MARCS! Valid Nov 24-27 Starts: 24 November. Ends: 27 November. 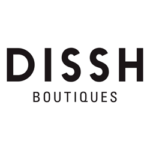 Dissh stocks a killer mix of exclusive in-house labels, which are designed and developed by us each season. Our huge range of the latest dresses, tops, skirts, shoes & accessories means we’ve got all the new you need now! CYBER STEALS! Nothing Over $50 Starts: 25 November. Ends: 27 November. 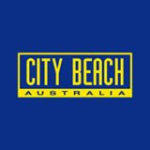 Trading for more than 30 years; City Beach has cemented its status as one of Australia’s leading fashion retailers. We stock some of the world’s biggest brands with the ultimate mix of surf, skate, street, moto, active and fashion styles. We’ve built a unique culture unparalleled by any other Australian retailer and are constantly evolving our in-store and online experience to stay in touch with the youth market. Black Friday: Up to 60% off Selected styles! Starts: 23 November. Ends: 26 November. 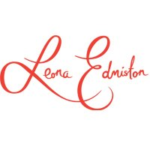 The Leona Edmiston collection celebrates the diversity of women, with a strong focus on making women feel their most beautiful and confident. Designed with the modern busy woman’s lifestyle in mind, they are feminine but not fussy, style driven rather than trend driven. Black Friday & Cyber Weekend – 50% Off Sitewide 22 November. 27 November. 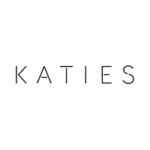 Katies is renowned for its distinct position within the Australian retail landscape and since 1954 has offered desirable, value based fashion for the ageless and feminine woman. Today with over 150 stores nation-wide; 1.6 million loyal members; 83,500 Facebook fans and a rapidly growing online business, the Katies range delivers clothing for all occasions, from key fashion pieces and smart work wear to quality basics, loungewear and denim engineered with superior fit, comfort and quality in mind. Black Friday Bonanza: Nothing Over $15 Sale Starts: 24 November. Ends: 26 November. 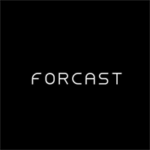 The Forcast label was unveiled in 1992, and is a fashion-forward women’s wear label, which has evolved into an iconic brand for many who seek sophistication and glamour. We specialise in after five glamour and desk to dinner wear. Cyber Monday Sale – Sitewide 20% off Starts: 27 November. Ends: 27 November. 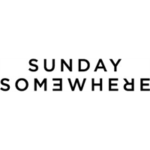 Sydney-based eyewear brand – Sunday Somewhere – is intrinsically a unique mindset. Not interested in offering its consumers a better life. No requirement for catchy slogans. No need for by-lines. The brand philosophy is simple. They’re beautifully crafted, classic and modern frames. And with a make-up-your-own-mind attitude, the brand relies on inspired imagery to assist with the vision both it, and its customers relate to. Cyber Sale – $100 Frames Starts: 24 November. Ends: 27 November. Millers, was established in 1993 and today is Australia’s largest women’s apparel retailer with over 350 stores nationally and a further 28 stores in New Zealand. Millers provides value fashion for an ageless woman allowing her to always look good and feel great. 50% off* all full price items From Now until 5pm Sunday 26th of November *T&C’s apply. Instore and online. Excludes sale and shoes. Starts: 23 November. Ends: 26 November.